FilmNorth is proud to sponsor this Minneapolis St. Paul International Film Festival screening and has a very limited number of FREE tickets. Director Debra Granik attending. RSVP required. Tickets also available for purchase through MSPIFF here. 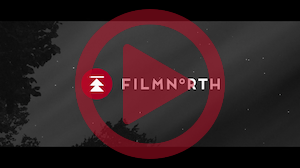 Be sure to head over to the Minnesota Made Party at FilmNorth following the screening and Q&A! Doors open at 9 pm. Leave No Trace brings to life the story of a young girl, Tom (newcomer Thomasin Mckenzie) and her war-vet father, Will (Ben Foster). The two live off the grid, led by Will’s PTSD, which has rendered him incapable of rejoining civilian life. Instead they spend their days in the wilderness, practicing survivalist skills and keeping away from the crowds. While a loving and intelligent daughter, Tom has become increasingly aware of the life she is missing out on. In contrast, Will operates in a state of near panic, unable to break from a condition that is out of his control. Nonetheless, the foundation of the relationship between father and daughter is one of unconditional love, and Leave No Trace finds its strength within the familial ties that refuse to break. Born in 1963, Debra Granik is an American writer, producer and director who has been creating work since 1997, her first short film Snake Feed garnering the title for Best Short at the Sundance Film Festival. She is also known for her four-time Academy Award nominated film Winter’s Bone (’10).